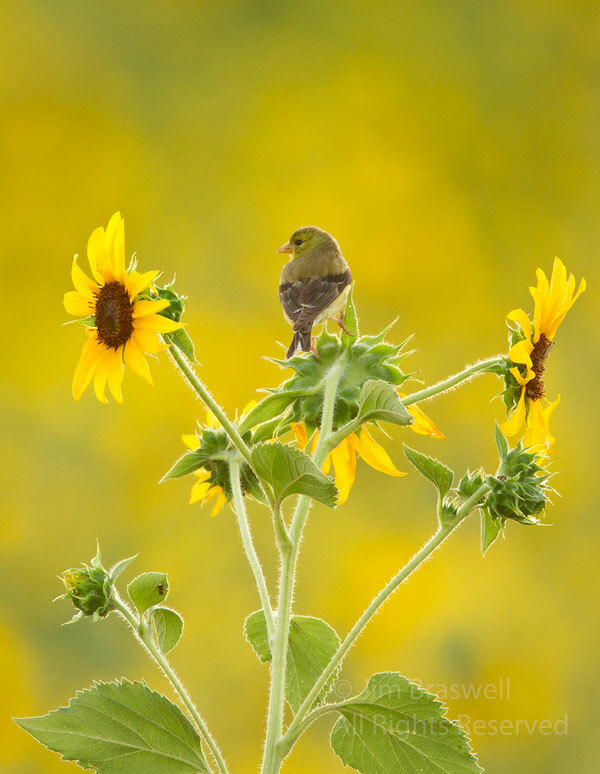 Late last week I posted on a planted/managed sunflower field. 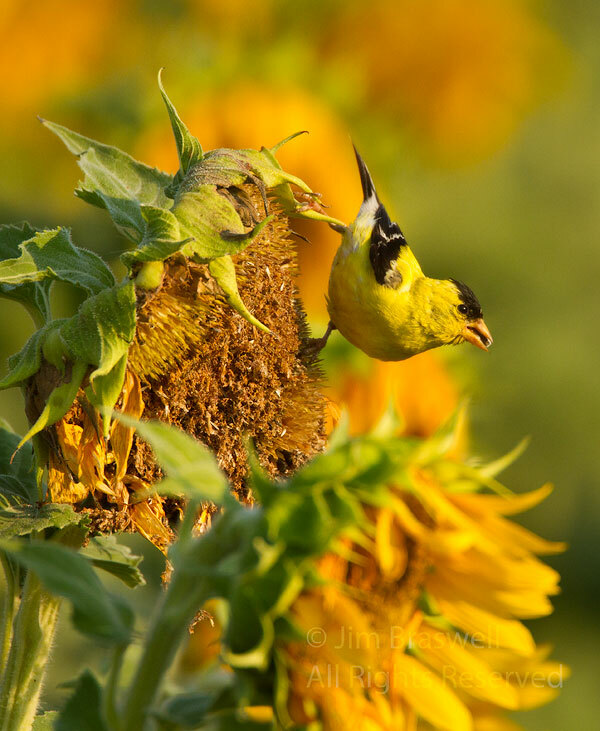 While I photographed the sunflowers, I saw quite a few different birds come to the sunflower plants for the seeds, so I ended up making 3 additional trips to the sunflower field last week (the sunflowers are now fading away rapidly, so I had to work quickly to capture images with nice looking sunflowers), with my tripod and telephoto lens. 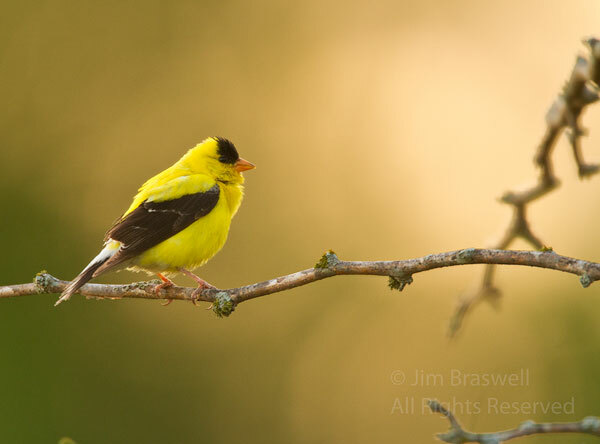 One of the most common among these incoming birds was the American Goldfinch (Carduelis tristis), which gave a great “gold on gold” appearance! 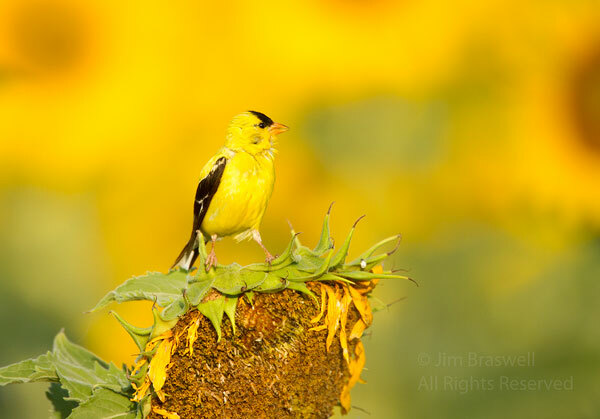 Here are a few of my favorite images I captured of the American Goldfinches, both in and along the edges of the sunflower field. 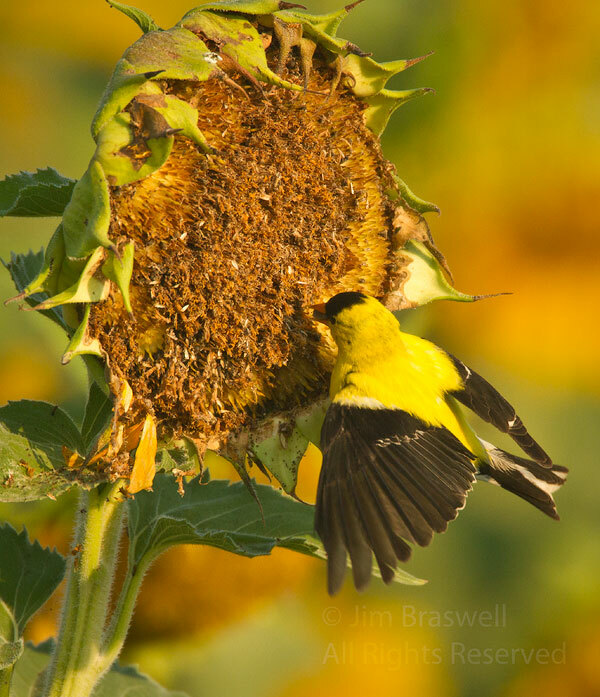 There were also some other bird species that flew in to check out the sunflowers, as well as a small group of mammals. 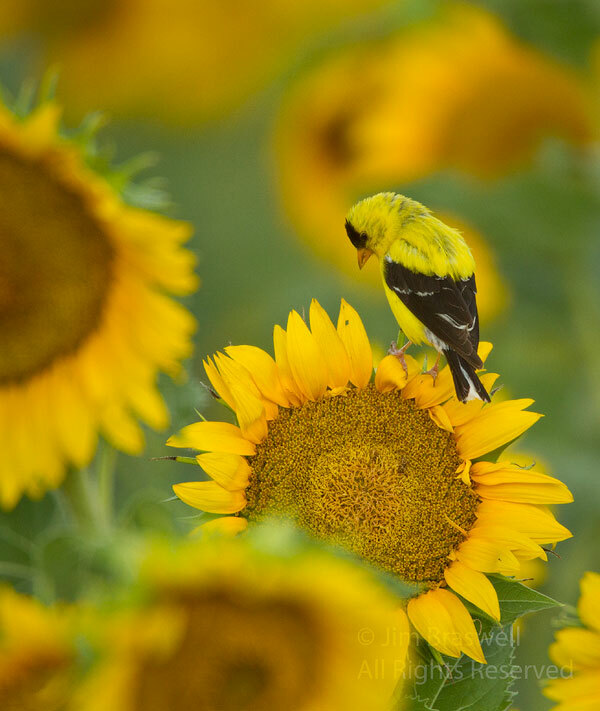 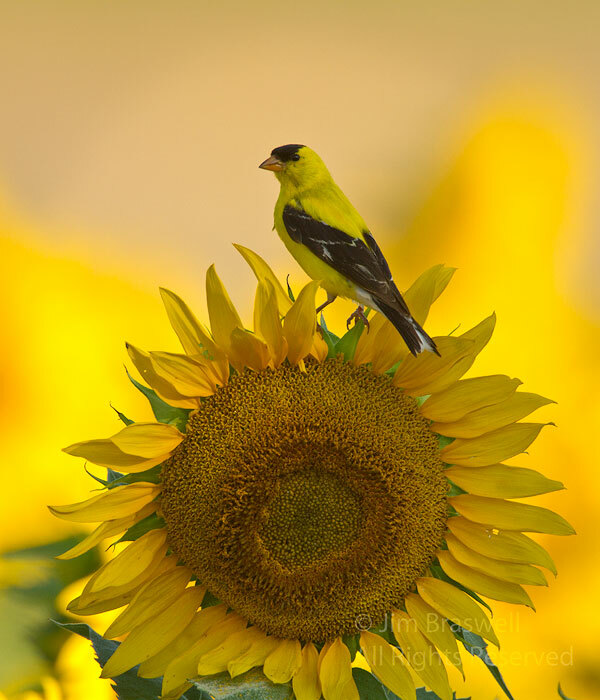 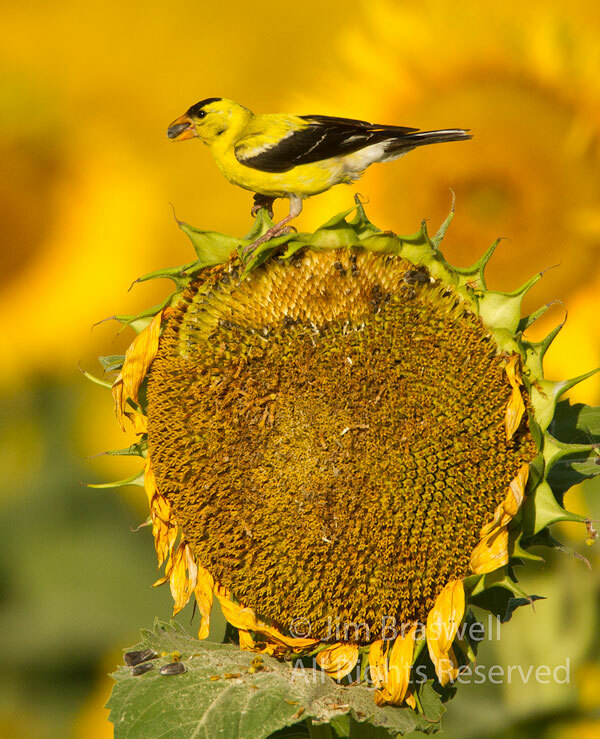 Tomorrow, we’ll look at some other bird species that I photographed in/near the sunflower field. 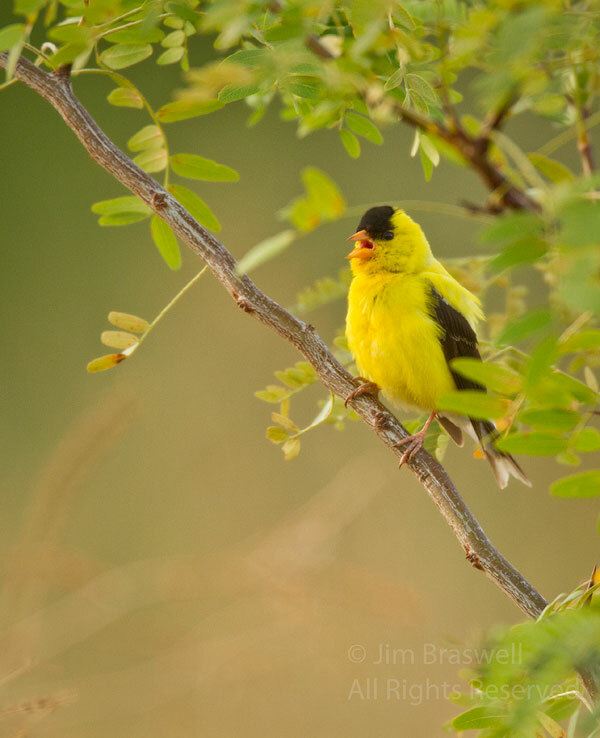 Tags: 2012, Amarugia, behavior, Bird, birding, birding 2012, birdwatching, Blog, Cass County, feeding, finch, goldfinch, meadow, Missouri, nature, photography, summer, wildflower.